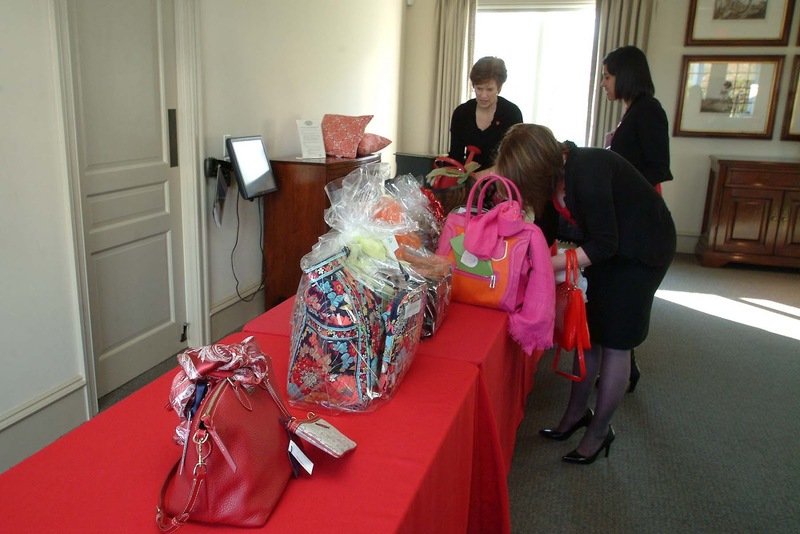 On April 3rd, a Go Red for Women gift gathering party was held at the Athertyn at Haverford Reserve Residents’Clubhouse. 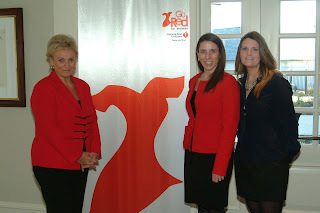 The event which was hosted by Women of Heart Honoree of the Go Red executive leadership team, Eliana Papadakis, was a precursor to the organization’s 2012 Go Red for Women Silent Auction to raise funds to help the American Heart Association fight heart disease. Local businesses and organizations put together gift baskets to be auctioned at the May 18th Red Hot Silent Auction. Just some of the possible gift ideas that organizations may have included as auction items are red purses or bags containing jewelry, wine and spa packages, weekend get-a-ways, and sporting packages. At the Athertyn Red Hot Gift Gathering Party, a People’s Choice prize was awarded to the most creative gift item. 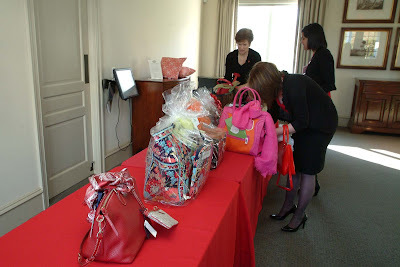 All items and packages will be used in the silent auction of the Go Red for Women Luncheon & Health Expo on Friday, May 18th, 2012 at the Marriott in Center City Philadelphia. The the Go Red for Women organization, created in 2004 by the American Heart Association, has a goal to raise awareness among women that heart disease is the number one killer among women and realize that it is not just a killer for older men. The AMA created Go Red to promote empowerment among women to take charge of their health and help prevent this terrible killer from taking the lives of so many women.